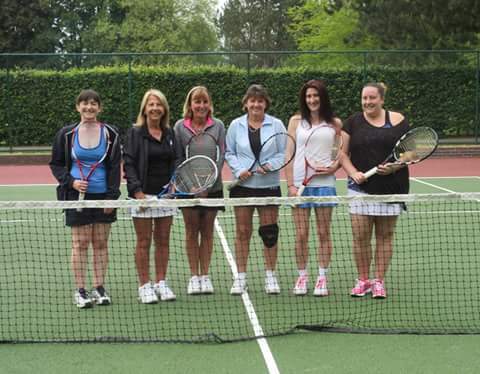 It’s all to play for in division 2 of the Fulford Ladies Invitation Tennis league. David Lloyd celebrated two victories over Castlegarth and crucially against Bishopthorpe to overtake them at the top of the table. Boston Spa completed a miserable weekend for Bish by beating them 67-41 to stay in third place, just a point behind the top two. Dunnington remain fourth after beating a depleted Rufforth side, whilst Pocklington beat Appleton 71-37 to keep their hopes of avoiding the drop alive. Sarah Blacker and Lorainne Waudby scored 30 games in Wiggington’s crushing defeat of Riccall in division 3; this leaves Wig leading the table and looking strong title favourites and confirms Riccall’s relegation. Cliffe’s good run continues and sees them climb into second place after beating Poppleton, meanwhile Knaresborough upset the form book with a 62-46 win over Wistow. Second met third in division 4, with Tollerton just edging a 56-52 victory over David Lloyd to remain on course to go up. Liz Swallow and Maggie Zhang racked up 31 games for leaders Copmanthorpe in their win over Boston Spa. Elsewhere New Earswick and Knaresborough gained comfortable victories over under strength Sutton and Cawood teams respectively. Bubwith and Dunnington will be promoted from division 5. Bubwith enjoyed an easy victory over Wiggington to now top the table; ironically Dunnington suffered their first defeat of the season against Bishopthorpe. Things remain tight at the bottom, Stamford Bridge were unlucky to lose out by a couple of games to Copmanthorpe, while Fulford captain Janette Richardson and Liz Paxman bagged 21 games to lead their team to a 56-52 win against Heworth. York 1 are a step closer to retaining the division 1 title after a straightforward win over Pocklington. Struggling Castlegarth recorded their first win of the season against York 2 which sees the Clifton Park club drop into the lower half of the table. Dunnington eased past Fulford, Nicola and Emma Loten bagging 29 of their 74 games, whilst Starbeck and Poppleton fought out a draw. David Lloyd are in second place in division 6 after beating Dunnington, Appleton lost ground as they were unable to field a full team so lost out to Sheriff. Leaders Wilberfoss went down to a shock 55-53 defeat at Poppleton and so lose their 100% record. This season’s IT Sports and IT Sports Too competitions will be held over the weekend of 12th and 13th September. York 1 -Division 1 leaders, currently the only unbeaten team in the league. from left to right, Faye Chapman, Fiona Geldart, Karen Retief, Wendy Stirke, Kathryn Maude (captain), Louise Lister. WILBERFOSS- ENSURED THEIR PROMOTION FROM DIVISION 6. L to R; Liz Walker, Karen Pratt, Ros Latham, Geraldine Screeton (captain), Nicola Ramshaw, Michele Helm. 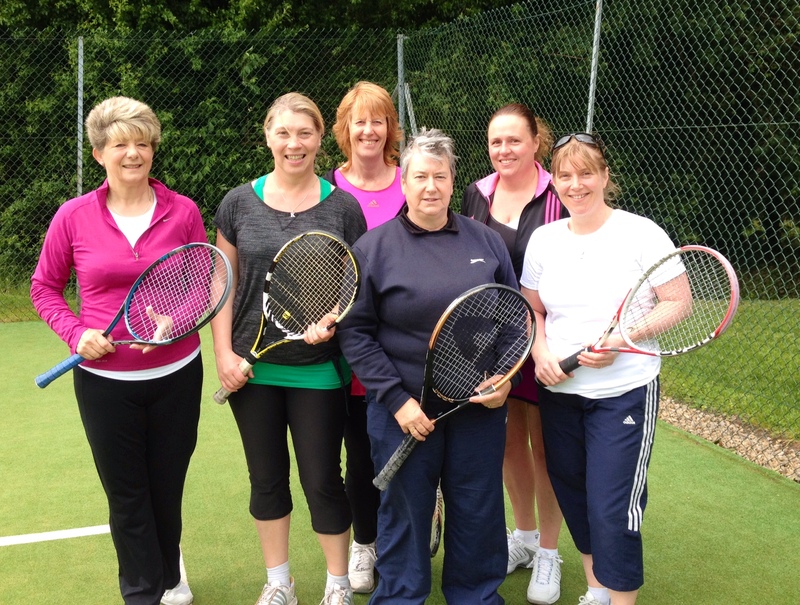 Wilberfoss claimed a resounding 74-34 victory over Dunnington in the Fulford Ladies Invitation Tennis League to ensure their promotion from division 6, Liz Walker and Ros Latham claimed 29 games in the win that leaves them odds on for the title. David Lloyd 3 and Appleton continue to battle it out for second place after both enjoyed victories over Poppleton and Bubwith 2 respectively. Bubwith 1 look likely to gain their second promotion in as many years, this time from division 5, Jill Rounce teaming up with Louise Smith to ensure victory over Bishopthorpe. Unbeaten Dunnington lead the way though after a 27 game haul from Judith and Katie Peeke-Vout secured success over Wigginton. Elsewhere, Fulford 3 narrowly lost out to Stamford Bridge, but both teams remain in deep trouble at the bottom of the table. Copmanthorpe continue to lead the way in division 4 after beating a reduced New Earswick team. Tollerton remain on their heels after a crushing defeat of bottom club Knaresborough, captain Dot Hornby and Angie Pearson taking 29 games and inspiring their team mates to match that score. David Lloyd 2 edged past Boston Spa to remain in third place. Thirteen year old Leona Clarkson teamed up with Kelly Holmes to bag 30 games for Cliffe in their triumph over Division 3 leaders Wigginton. Knaresborough have games in hand and are fighting hard for survival, Arina Fjodorva and Penny Sheard claiming 30 games to lead them to victory over Poppleton 2. Division 2 is split, whereby any of the top four teams could go up and any of the bottom four go down. Castlegarth overwhelmed Riccall 85-23, Mother and Daughter Trish and Angie Bell collecting 32 games for the Wetherby club who continue to fight to hold their second division status. Boston Spa climb into second place after a 76-32 win against Pocklington. Helen Larkin and Jo Powell helped maintain David Lloyd’s challenge by amassing 31 games in their triumph over Appleton, Bishopthorpe remain top however after overcoming Dunnington 64-44. Results went with form in division 1. York 1, Dunnington and Poppleton all winning to stay in that order at the top. The division’s top scorers were Dunnington’s Alex Bolem and Emma Loten with 32 games. Pocklington defeated Starbeck to distance themselves from bottom clubs Fulford and Castlegarth who fell to York 1 and Dunnington respectively. 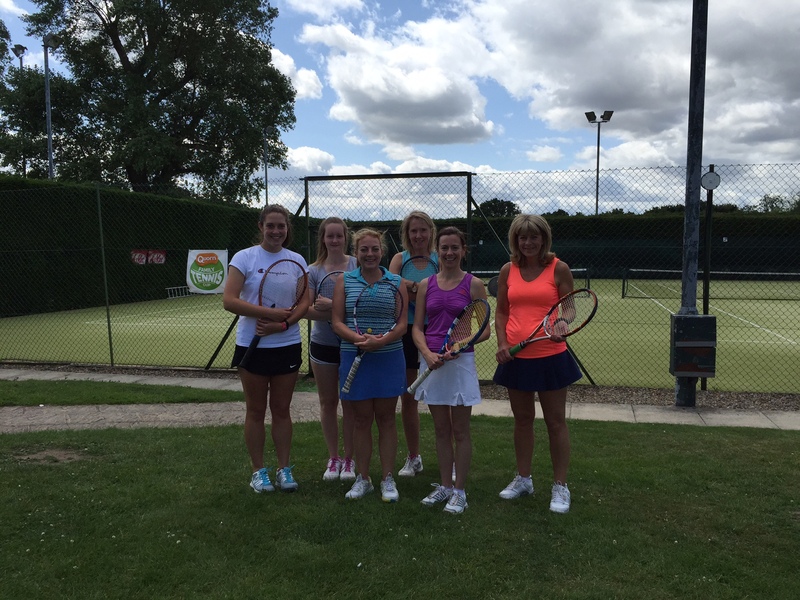 Starbeck enjoyed two victories in division 1 of the Fulford Ladies Invitation Tennis League. Lisa Jacob teamed up with Helen Halsall and then Katie Draper to score 28 games in each match to help push her team towards mid table safety. Those wins over bottom placed teams, Fulford and Castlegarth, subsequently leaves those two teams looking likely for the drop. Despite a 25 game haul from Popp hot shots, Catherine Baker and Rebecca Turnbull, it wasn’t enough to prevent their team being beaten by York 1 who now look title favorites. Dunnington hold second place after beating Pocklington, whilst York 2 climb up to third following their win against Fulford. Bishopthorpe stay in the driving seat in division 2 after overcoming in-form Rufforth. Dunnington remain second after beating struggling Pocklington, which included a 30 game score from Sue Sumner and Denise Bolam. Boston Spa move up to third and so exchange places with David Lloyd who they beat 59-49 after DL were unfortunate to have to concede games through injury. Wigginton remain unbeaten since the opening day of the season and top division 3, just ahead of Wistow, after both teams recorded victories over Knaresborough and Riccall respectively. Fulford 2 captain Carolyn Taylor and Nicky Brown scored 23 games to lead their team to victory at Poppleton and so keep them in third place. The top two teams met in division 4 where leaders Copmanthorpe again benefited from three consistently scoring couples, beating Tollerton 59-49. Knaresborough celebrated their first win of the season over Sutton, though remain at the foot of the table. David Lloyd lead the chasing pack after a comprehensive win over a depleted Cawood side. Fulford 3 are fighting for survival in division 5 after registering only their second win of the campaign, this time with a 56-52 victory over Wiggington. Jackie Mason and Kathryn Dickinson collected 25 games to steer Bishopthorpe 2 to a 57-51 victory over local rivals Copmanthorpe. Bubwith remain top following a 60-48 triumph over bottom club Stamford Bridge. Wilberfoss are in touching distance of the division 6 title after a resounding win at Bubwith 2, their regular high scorers, Gerry Screeton and Michelle Helm, only dropping a couple of games. David Lloyd 3 and Appleton look likely candidates to be fighting out the second promotion slot after both had comfortable wins over Sheriff and Dunnington respectively. YORK 2 – CURRENTLY 3RD IN DIVISION 1. Back row L to R: Margaret Whitehead, Anne Jackson, Caroline White (captain), Jill Le Pla; front row L to r: Denise Wilson and Siobhan Gilfillan. 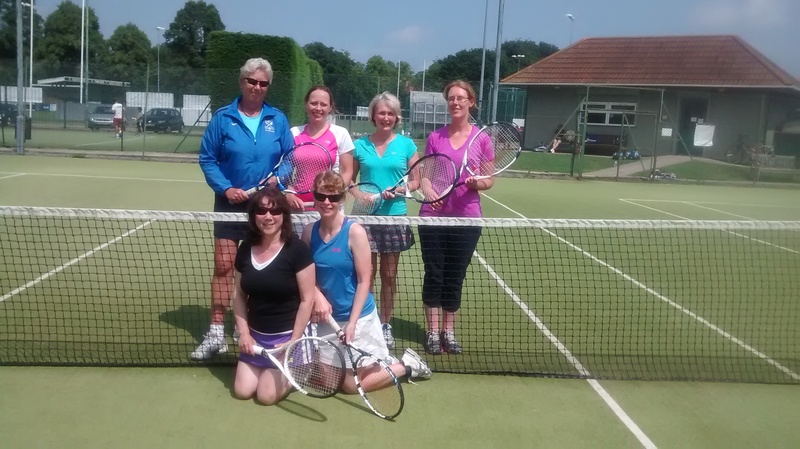 Dunnington 3 maintained their 100% record at the top of division 5 of the Fulford Ladies Invitation Tennis League, beating Stamford Bridge 68-40. Bubwith’s Gill McGrory and Liz Bramley racked up 33 games in their team’s comprehensive victory over lowly Fulford, keeping them in second place and opening up a six point gap between themselves and third placed Wigginton 2 who lost out to Copmanthorpe 2. Division 2 promotion contenders, David Lloyd, went down to a surprise 57-51 defeat at Rufforth whose good run continues. Bishopthorpe overcame Pocklington 64-44 so remain top and undefeated since the first match of the season. Dunnington lead the chasing pack after easing to a 70-38 victory against Appleton, Rosie Todd and Sara Grinnell bagging 25 games. Wigginton 1 lead the charge at the top of division 3 after a conclusive victory at Rowntree Park. Fulford 2 got back to winning ways beating close rivals Cliffe, 56-52. Elsewhere Wistow had a big win against Poppleton so remain second. Liz Swallow and Maggie Zhang steered Copmanthorpe to victory at David Lloyd, so they remain top of division 4, just ahead of Tollerton who beat a depleted Cawood side. Bottom placed Knaresborough came close to recording their first win, but just missed out by a couple of games at New Earswick. Division 6 table toppers Wilberfoss, made light work of Copmanthorpe’s challenge in a 70 – 38 win. David Lloyd remain second, just ahead of Appleton who they beat 69-39, aided by a 29 game haul from Liz McKenzie-James and Fiona White. Pocklington had a resounding 70-38 win over bottom placed Castlegarth in division 1, Ruth Hill and Emma Owen starring with 25 games. Starbeck just lost out to second place Dunnington 55-53, whilst York 1 remain on course after a comfortable win against their second team.